In their book The Revolution in Horsemanship, Robert M. Miller and Rick Lamb seek to describe this revolution and the effects of it. This is a broad undertaking, but the authors are well equipped for the task. Both have supplemented their own broad experience with extensive research on horse handling methods and the men and women who employed and continue to employ them. Robert Miller is a trained veterinarian and is acclaimed internationally as an equine behaviorist, author, and horseman. 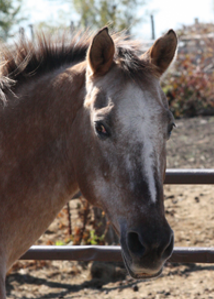 Since retiring from veterinary practice in 1988, Miller has promoted and lectured on imprint training of foals and the broader revolution in horsemanship throughout the world. Rick Lamb produces and hosts radio and television programs providing a plethora of information on various aspects of the horse industry. Since 1997, Lamb has interviewed well over 1,000 trainers, instructors, clinicians, competitors, veterinarians, and other horse experts. His programs have won several national awards and made him one of the most popular and respected educators in the American horse industry. Miller and Lamb point out that various factors occurred at the end of the twentieth century which help spread the message that horses can be controlled more effectively without the use of force. For most people, horses had become a casual pastime rather than a means of getting work done. These people had not grown up with horses and knew they needed to be educated. By the late 1970's, a new breed of horsemanship clinic had sprung up in the West to meet the increased demand for education. Old, nonviolent training philosophies were presented side–by–side with modern, creative horse–handling techniques. The common thread was a consideration for the horse's point of view. These clinics were not presented by dressage masters, but by a few quiet cowhands who had perfected communication with a horse's mind. The book describes what happens: With patience, persistence, and consistency in the asking, the horseman helps the horse find the correct answer. This way of handling horses came to be know as Natural Horsemanship. Because of its beginnings, it was first perceived as a form of Western horsemanship. But horses are horses, and use of these methods has spread. Olympic medalists and other world–class competitors in a variety of equestrian sports are now outspoken proponents of natural horsemanship and have integrated its philosophies and methods into their training programs. And, as the extended title of the book — "And What It Means To Mankind" — indicates, the methods presented as a means of working with horses have had an even greater effect. The qualitative ideals of communication, leadership, and justice, upon which the revolution is based, are the building blocks of an improved horse–human relationship. As we internalize them, they can't help but begin affecting the other parts of our lives, in our homes, offices, and classrooms. Most people with horses have heard of one or several of the leaders and promoters of this revolution. But this approach is not that of just a few men and women in the horse industry. Miller and Lamb introduce their readers to horsemen from various countries and various walks of life who have found these method effective. The authors even go beyond this and describe the work of earlier practitioners who had some limited influence on presenting alternate methods of handling horses that were much milder than those widely practiced during their time in history. As the revolution continues, the techniques presented vary. Each teacher and clinician draws from his own experiences. While this may present confusion for some, the authors point out the advantages.
. it is a mistake for the student to assume that other clinicians are wrong because their techniques are different. there isn't necessarily one way to do things correctly. There may be several ways, and what works best for one person, or on one horse, may not be best for another person or another horse. They further state that Each clinician should use whatever method works best for him or her and teach that method, but never close the mind to an alternative. Students should also keep an open mind. Every one of them [clinicians] has something to offer, and the wise student will take what he can from each, weave his own tapestry of understanding and technique, and put in the hands–on time to become proficient with it. In doing so, he will become his own horseman just as each of the clinicians has. Instead of looking for things to criticize, we urge the reader to look for things to embrace. 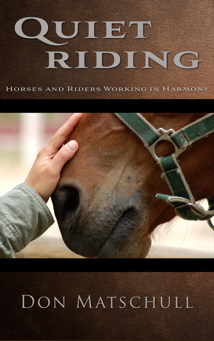 While this book discusses many horse handling techniques, it is not meant to be an instruction book on horse training or riding. It is, rather, a broad introduction to the various aspects of what the authors see as the revolution in horsemanship. This expansive book also includes topics such as foal training, the debate over hoof care, equine nutrition, and alternative therapies. horsemen at the highest levels in most traditional equestrian sports, whether they openly support natural horsemanship in so many words or not, use psychology and empathy in their training. It has been so with great horsemen down through history. Please notify me if you encounter any problems with this web site.